The 2,260 sq. 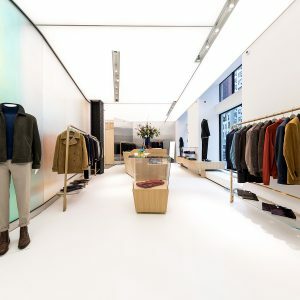 ft. interior has been designed by Andy Martin Architecture, which also designed the house’s original flagship London store on famed Savile Row. 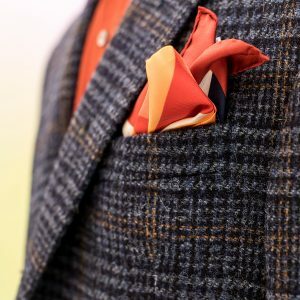 Martin identified four main brand characteristics in Richard James’ recent collections, from which visual and performative references were drawn: Reflection, Transience, Chroma and Illusion. The store is delicately divided into two main areas, Ready-to-Wear and Bespoke. The areas are separated by a translucent screen treated with a dichroic film that varies in color, luminosity and reflectiveness. This free-standing screen becomes the central feature of the new space, operating both as a vibrant backdrop to the displays in ready-to-wear, and a circulation distributor, concealing the private Bespoke area. The element that blends the two together is a stretched ceiling, which conceals an adjustable ambient light system, providing a changeable personality. This becomes a canvas for future art driven installations. 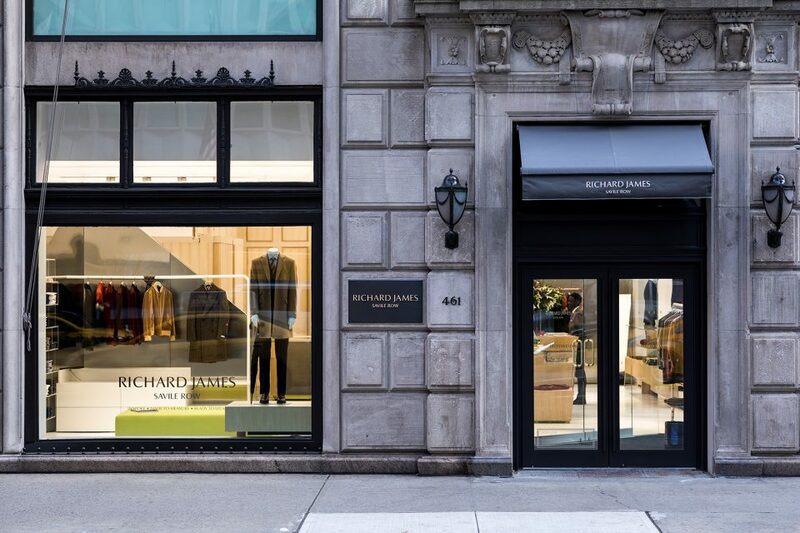 Richard James’ seasonal ready-to-wear collections and bespoke services will be available at the New York Flagship.